DS programmers have engineered a “trainer” that allows the user to activate game-ruining cheats.Â Infinite ammo and infinite health are the worst offenders on the list. The worst part is the trainer was built specifically to boot into the Nintendo Wireless system so they can ruin online play. For those of you who don’t play Metroid Prime Hunters, imagine if somebody put together a cheat package that allowed your World of Warcraft character to never die and gave it infinite everything. Oh wait, most WoW players would probably LOVE that. Just kidding folks.Â I don’t play WoW but I know plenty of people who do and most of them hate cheaters. Unfortunately the popularity of my favorite band continues to grow and as a result the ability to get into one of their (rare) shows continues to get more and more difficult. Take Bonnaroo for example.Â Would I really spend close to $1000 when it was all over to go see Radiohead at Bonnaroo, when I would really be spending all that money just to see one band?Â No.Â I’m sure the overall experience would be worth it, but it’s simply out of the question at the moment. Thanks to a tip from greenplastic.com I’ll be watching their set online from the cozy confines of a desk, couch, or coffee shop.Â AT&T will be streaming a large amount of the Bonnaroo festival at the link below. At least this way I can enjoy the show without worrying about… well… all the people you would expect to find at Bonnaroo (just kidding, I’ve been told it’s a cool crowd by many people). Well, basically this is just to let everyone know that there’s 2 of us here now. Jay has been kind enough to allow me access to the inner sanctum of the church, so I’ll do my best to bring about the fire and brimstone as quickly as possible. Safety in numbers and all that jazz. You know a really great comedian has died when your first comments upon hearing about their death makes everyone laugh. Yup, he really was that good. According to Microsoft if you purchase a new motherboard you are creating a “new” computer, even if the rest of the components remain the same. Might not sound like a big deal until you remember that Microsoft Windows licenses only apply to a single computer at a time. 1. Switch to Linux and never worry about these silly problems again. Check out Ubuntu. 2. Don’t ever, EVER upgrade your motherboard. In a staggering turn of events, the U.S. Department of Homeland Security issued a statement that makes a lot of sense. I know, I’m shocked too. A D.H.S. official has suggested, after the recent Sony BMG CD rootkit crapola, that rootkit software be outlawed. If I were a government geek I’d buy that official a drink. Cheers! 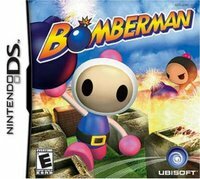 I love the Bomberman series. It’s one of those games I grew up with and have thoroughly enjoyed on every platform I’ve ever played it on. Decades before Pokemon started the cute n’ violent trend this little bugger was destroying massive amounts of blocks and enemies in a game that mixed puzzle and action with simple game play that anyone could appreciate. If you share the same love of this series you might want to sit down before you scroll down. 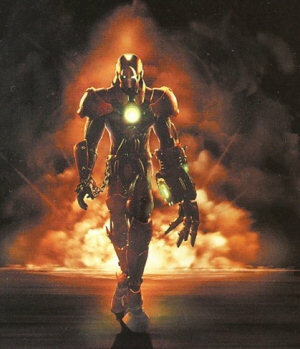 This is Bomberman as he will appear in the freshly announced Bomberman: Act Zero for the Xbox360. 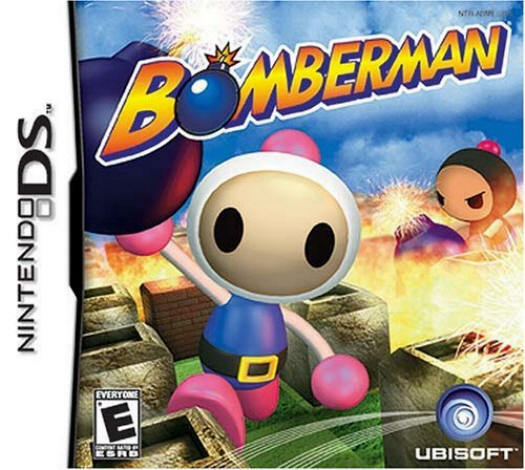 The original Bomberman is survived by his loving wife and two children, Bomberbaby and Bombertoddler. Memorial gifts of fireball power-ups can be directed to the great binary sprite memory dump in the sky.